As Chief Technology Officer (CTO), Keith Myrick is responsible for supply and innovation for LAPP North America and is tasked with ensuring that LAPP is at the forefront of providing products, services, and support that help customers fully realize the potential of Industry 4.0 as we embrace the 4th Industrial Revolution. 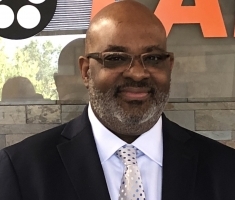 Keith has an MBA and over thirty years of experience with a focus on materials management, operations, quality, product development, engineering, and strategy development. Keith is driven by pursuit of operational excellence and development of products and services that support innovation with a view of the future.